Cannacurius members elevate your wellness. Coffee, tea, beer, soft drinks and cannabis cocktails will have the chance to try out internations members that will come with us at the Protected content the first cannabis bar in Greece. Soon a cannabis canteen restaurant will be created by the summer of Protected content . It is a bar with cannabis products at the content stipulated by the law. 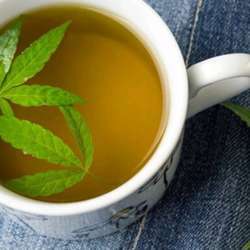 There will be coffee, soft drinks, hemp tea produced mainly in Greece Cannabissimo coffee is 100% natural and legal, while the tetrahydrocannabinol (THC) content is up to 0.2% according to European legislation. The healing benefits of cannabis cannabisol with beneficial action that gives you wellness and relaxation.Everyone, however, will be able to accompany the beverage of their choice with cannabis cookies, which will soon be available in the bar.The first cannabis plant operates in Kalohori, where they make various cannabis products.70 products of Greek production, including food, will be created by March. Cannacurious Thessaloniki InterNations members you are invited to join the city’s first ever cannabis event.While having your tea, coffee, soft drinks or cannabis cocktail It will be an occasion to discuss about cannabis in a stigma-free environment of like-minded individuals.Topics could include the mental + physical health pros and cons of cannabis, the business of cannabis, and more. 6 members minimum in order the event to take place.